Nanos poll: Conservatives 35, Liberals 35. Canadians getting weary of SNC-Lavalin controversy already? THE latest Nanos federal ballot tracking (March 29) has the Conservatives at 35.1 per cent, followed by the Liberals at 34.6 per cent. And that makes one wonder if Canadians are getting weary of the SNC-Lavalin controversy or perhaps getting put off by the Conservatives’ relentless attack on Prime Minister Justin Trudeau. It could also be that many Canadians have been shocked at former attorney general Jody Wilson-Raybould indulging in unethical behaviour by secretly recording her conversation with Canada’s top public servant, Michael Wernick. The NDP are at 16.6 percent, the Bloc Quebecois at 4.4 per cent, the Greens at 8.1 per cent and the People’s Party of Canada (PPC) at 0.5 per cent. Asked whether they would consider voting for each of the federal parties, 49.6 per cent of Canadians say they would consider voting Liberal while 45.7 per cent would consider voting Conservative. Four in 10 (40.1%) would consider voting NDP, 34.2 per cent would consider voting Green, 10.1 per cent would consider voting for the People’s Party and 34.5 per cent would consider voting for the BQ. Nanos tracking has Trudeau as the preferred choice as Prime Minister at 31.1 per cent of Canadians followed by Conservative Party Leader Andrew Scheer (26.7%), NDP Leader Jagmeet Singh (7.8%), Green Party Leader Elizabeth May (7.6%) and PPC Leader Maxime Bernier (2.7%). Twenty-three per cent of Canadians were unsure whom they preferred. 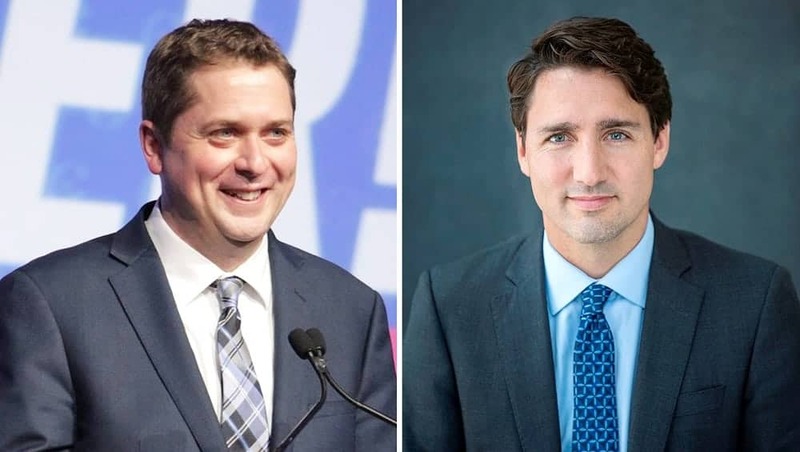 Fewer than half of Canadians (45.5%) believe Trudeau has the qualities of a good political leader while 41.6 per cent believe Scheer has the qualities of a good political leader. Three in 10 (32.2%) say Jagmeet Singh has the qualities of a good political leader, while 35.8 per cent believe the same about May. One in six (18.1%) believe Bernier has the qualities of a good political leader and 27.9 per cent said BQ Leader Yves-François Blanchet has the qualities of a good political leader (Quebec only). you can’t face reality when it doesn’t suit you? Do Canadians really want Scheer…Harper light? Apparently not. Is Trudeau a saint…no! Do Canadians leave JWR on her white stallion of all things pure and noble…? The unethical tape recording along with the well staged…or to use the new talking head buzzword, curated, media focussed interventions…does not seem to grab reasonable people as the work of a righteous individual. Perhaps self righteous at best.